Imagine you’ve been in a car accident. You have health insurance as well as coverage for medical bills through your auto insurance — or through the policy of the person who was at fault — so you aren’t worried about the bills. But to your shock, you find out months later that some of your medical bills have been turned over to collections and your credit has been damaged. There are several reasons why this scenario — which is not uncommon, unfortunately — occurs. The first is that auto insurers typically don’t pay medical bills as you incur them, but rather wait until all the bills related to the accident come in. In the meantime, your health care providers don’t want to wait months — or even years — for your claim to be paid. Unpaid balances are turned over to a collection agency. The second is that medical providers are often reluctant to bill your health insurance, which may pay negotiated rates that are less lucrative than payments from an auto insurance settlement. There are ways, however, to decrease the odds that these bills will wind up in collections and ruin your credit. Here’s how. The first thing you may want to do is to ask the medical provider to bill your health insurance. (Of course, whenever possible you want to use a provider that participates in your health insurance network since that usually means lower out-of-pocket expenses.) If they say they won’t or can’t do that, you may need a lawyer or health plan administrator to intervene. Since just one collection account can lower your credit score by 50, 75, or even 100 points or more, it is essential that you stay on top of these bills and, just as important, your credit. You can monitor your credit data monthly for free on Credit.com, so that if something like this does hit your credit reports, you’ll know. There’s another reason to ask them to bill your health insurance right away. If your medical providers fail to bill your health insurance and later it turns out you can’t recover through auto insurance, it may be too late to bill your health insurance. Of course, even the best health insurance may not cover everything. You probably have co-pays and/or deductibles that you are responsible for paying. If that’s the case, you may be better off paying those amounts yourself in order to prevent bills from being turned over to collections. If it’s impossible for you to cover those out-of-pocket expenses while you wait for an insurance settlement, another option may be for you or the doctor’s office to ask if the provider will accept “assignment,” meaning that their fees would be paid out of any settlement you receive. The downside of this is if you don’t receive a recovery, you are liable for the bills. 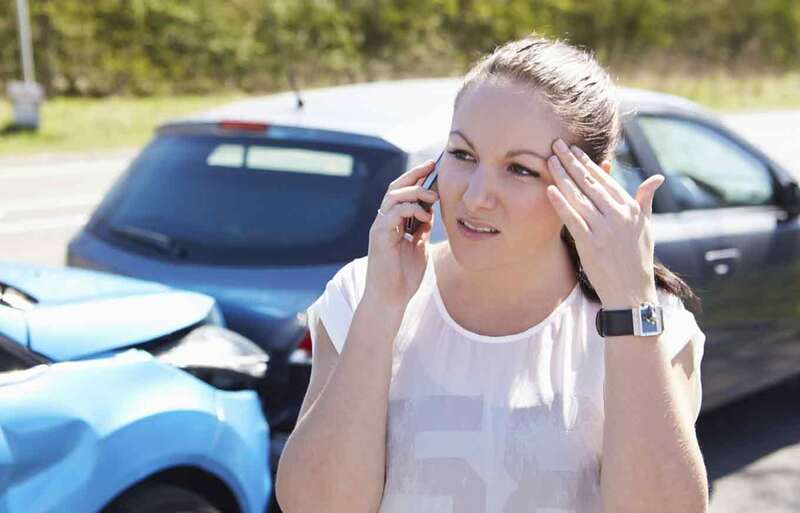 If dealing with the medical bills from an auto accident may feel as overwhelming as the accident itself, you may want to talk with a personal injury attorney who should be familiar with the options for helping clients protect their credit. But plan on monitoring your credit regularly and staying involved in the process. That way, you hopefully won’t be dealing with damage to your credit long after your injuries have healed.